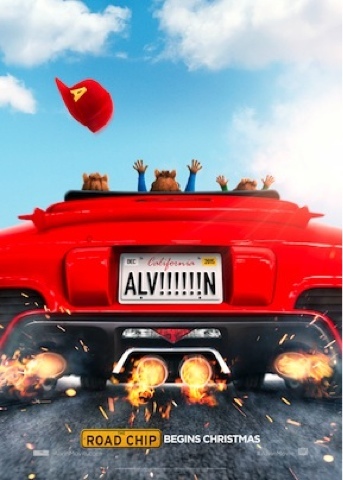 Something to Muse About: ALVIN AND THE CHIPMUNKS: THE ROAD CHIP New Poster Revealed! ALVIN AND THE CHIPMUNKS: THE ROAD CHIP New Poster Revealed! Everyone's favorite Chipmunks are back! 20th Century Fox and New Regency are excited to share the brand NEW poster for the upcoming animated film, ALVIN AND THE CHIPMUNKS: THE ROAD CHIP! This time around, after a series of misunderstandings, Alvin, Simon and Theodore come to believe that Dave is going to propose to his new girlfriend in New York City… and dump them. They have three days to get to him and stop the proposal, saving themselves from losing Dave.